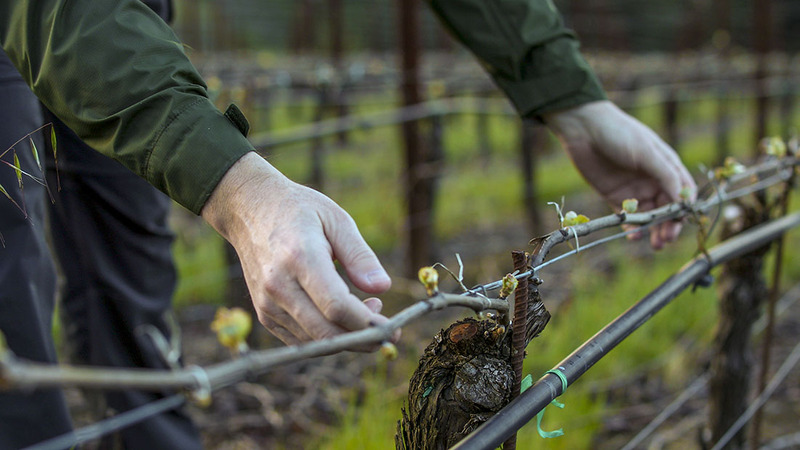 This is the third vintage from our densely-planted Estate vineyard and we’re starting to see a real signature evolving that is apparent throughout each vintage. The tight spacing (4×3 feet verses the normal 7×5) limits the amount of direct sunlight on the clusters themselves, protecting the bright fruit aromas and nuances that can be lost through over exposure in our climate. This ‘aroma potential’ is never more apparent than in this new estate bottling – the wine just leaps out of the glass at you, but not in a clumsy full throttle way. Rather it’s elegant, stylish and quite beguiling. You get a sense of acidity underpinning the wine throughout and some really unusual inner-mouth dried flower characters that only boost its distinctive complexity. It demonstrates perfectly how a wide array of subtle nuances, layers of diverse aroma and flavor can gradually build, broaden, envelope, transition and flow into one another to produce something that transcends simple fruitiness to bring a special site character and signature with the complexity that sets it apart. This really hits the high notes and progresses into rarified territory among its Californian pinot peers. Clear bright garnet red; Full spectrum of red and dark aromas – dried cranberry, rosehip, dark cherry, sarsaparilla and orange zest with a fleeting note of leather. Elegant bright palate entry, very high-toned and alluring. Kirsch, juniper, raspberry with an almost gravelly mid palate texture and a touch of blueberry. Succulent, though no obvious sweetness then offset by acid and tannin cut bringing focus and restraint. Will soften and broaden with age with a drinking window of 2012 through 2020.